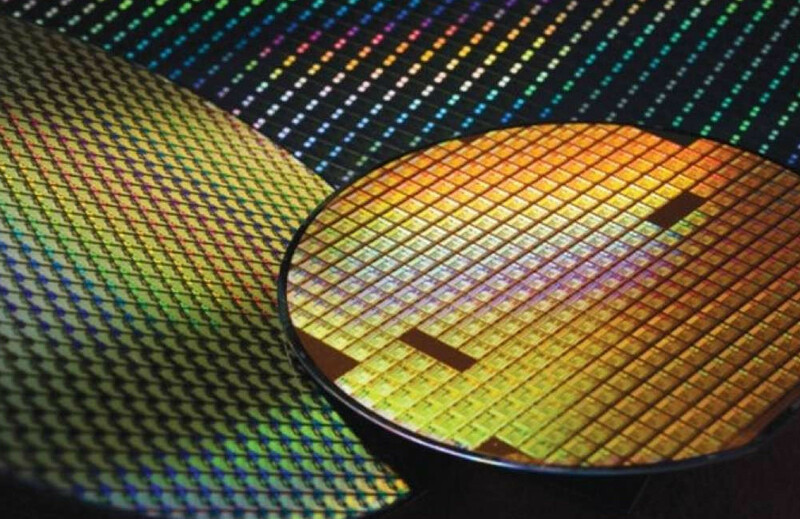 AMD's chiplets to TSMC's rescue? Hoping for Nvidia's 7nm GPUs in 2019, but it seems unlikely. Everyone is thinking, and posting, the same thing. This is good for AMD. It wouldn't have to wait in line for capacity. It could also force TSMC to reconsider it's priorities when designing a new process node and not target mobile chips, because I believe that's what it was doing those last years. You say market saturation is the problem? I think i could do with yearly upgrades if bloody pricing was a bit more realistic. I'd be surprised, they started designing those when 7nm looked v hard to do. Might even go to RTX 3000 -series... But yeah this is mobile process not tsmc:s hpc process. I've never understood why smartphones are getting pushed out so hard, so fast in the past 5ish years. There's only so much technology advancement that has taken place, they can't really make phones that much better. Sure, snappier CPUs or higher res screens (to me, that seem pointless on such a small area) or maybe better cameras, but all in all, nothing else has really been done to make newer phones coming out that much more appealing then the last batch. Perhaps I'm in the minority here with my thinking because a phone usually lasts me a good 4+ years before I upgrade, so the constant releasing of new phones with heftier prices are unnecessary and mind boggling (some phones pushing $1,000+, that's just fricking nuts). Acquired in mid 2007 (give or take): LG Chocolate Touch. It lacked certain smartphone capabilities, such as full web pages on the internet and I had it for about 5 years. Towards the end the touch screen was kinda out of wack and I constantly had to calibrate it, but the phone made calls and I could text on it - I was content. I would have kept it until it completely crapped out on me, but the wife complained that her phone (same model) was pretty much worthless because it ran like molasses and couldn't be fixed.....she made us upgrade. December of 2013: HTC DNA - had it for just shy of 4 years. In August of 2017 the mic on the phone died. I could still text/email, but I couldn't receive any calls or make any calls. After a couple of months of this I finally decided to get a new phone because I still needed a way to contact my grandpa so we could talk every few months. October 2017: Galaxy S8 - still my current phone. Phones costing more and more, plus nothing really "new" on them, do these companies think people are just going to keep buying the latest and most expensive piece of hardware because it's new? It doesn't surprise me that smartphone demand is starting to wane. I went from a Samsung s5 to a s9+. The phone is so much bigger. I go through a phone a year. I can't stand how much faster the new ones are than mine. Currently have a v30 and it's time is up. If less smartphones are being sold does this mean PC RAM can finally get cheaper as the fabs free up for us instead of pumping out smartphone parts? Samsung will just artifically raise the ram price and decreasse production to compensate. Another "fire / virus / alien invasion" on their factories would do. It would be nice, but I suspect there is no hurry, the competition struggle to topple 28nm Maxwell in performance per watt. Maybe they should have spent less money making videos mocking Fermi, hey ho. I'm the same way. I have no interest in something over 1080p on a small screen, hell my preferred phone would be a 4" 720p screen. The snapdragon 800 in my crippled nexus 5 is still mroe then fast enough to do anything I need, and my current moto Z has a 625 that has not once ever felt slow. I also got to set up a phone for a coworker, a moto E with a 425, the chip itself never felt slow, only the storage. If it had the storage out of the moto z, it would be perfectly powerful for normal phone usage. I could understand the phone replacement every 2 years back when the galaxy 2 was the newest thing, as every 2 years phones were noticeably faster in day to day tasks and battery life was dramatically improving. But today? Screens, CPUs, memory, they are all fast enough for normal usage, and a 3 year old phone doesnt feel slow to me at all. Ryzen 3000 production should easily make up the slack. Zen 2 7nm chiplets are incredibily small thus the yield should be very good. So this might actually comes down to the number of chiplets per wafer is so good that there is a surplus of capacity. Also x86 CPUs are a drop in the bucket compare to the sheer number of ARM SOC for phones tablets etc made every year. Everyone and their grandma owns some kind of ARM phone / tablet / TV box these days, not everyone owns a PC anymore. The good thing about this is AMD should have no issues with supply and could price their products even more agressively.